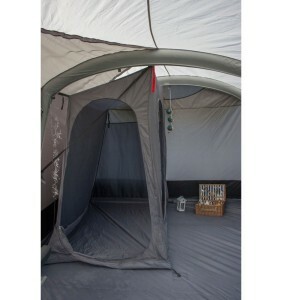 The market leading Kela IV remains the driving force behind Vango’s freestanding awning collection. Featuring a high quality 420 double ripstop Sentinel Pro fabric and new larger low vents for increased air circulation, the Kela IV is the ideal companion for your campervan or motorhome. 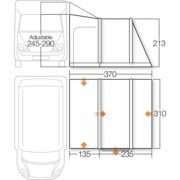 The two side doors on each side of the connecting tunnel provides a handy area for storage and will help keep the awning and your vehicle clean and dry. Don’t fret about stormy conditions, Vango’s patented Tension Band System (TBS II) ensures your awning will remain stable in harsh weather and for normal conditions, simply tuck it away into the dedicated pockets. AirBeam Technology – pole free pitching. AirSpeed valve system – inflate with less effort. NEW Skylight windows – enhance light during the day. 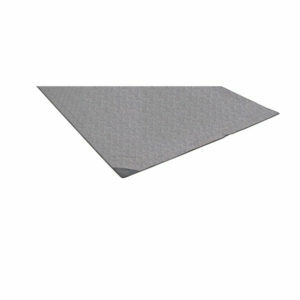 Bracer beam – fits in between main AirBeams to enhance stability. SkyTrack ll – hanging system to allow the attachment of lighting, storage or the new SkyLiner. 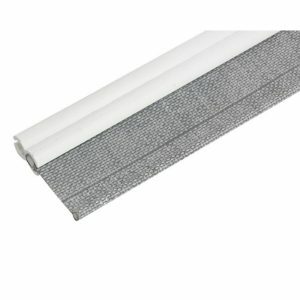 Storm straps – provides secure guying at the front of the awning. 8 metre straps included – can be tensioned over the vehicle so the awning can be used without kador rails. 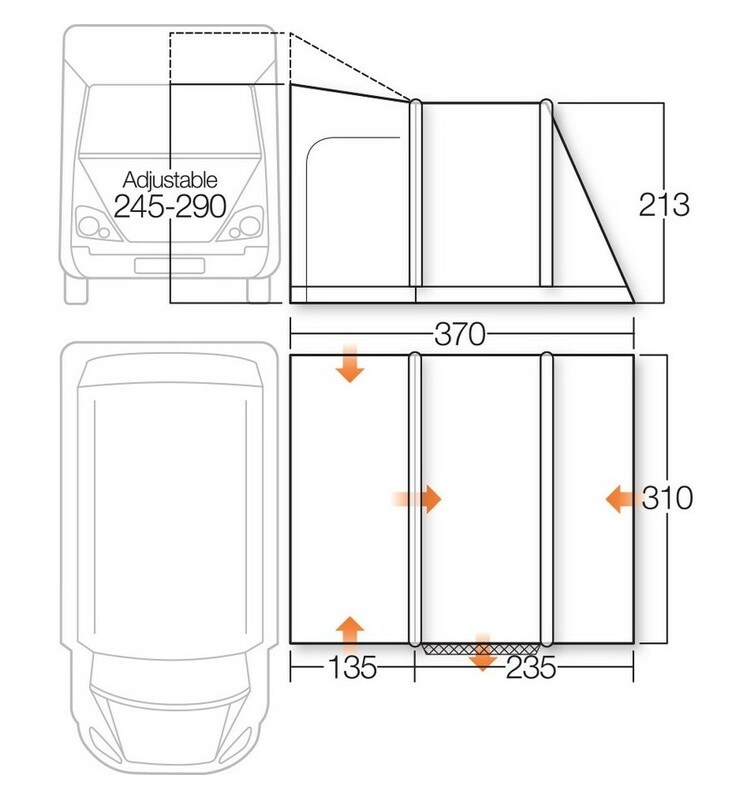 Diamond clear windows – maximises light and visibility. 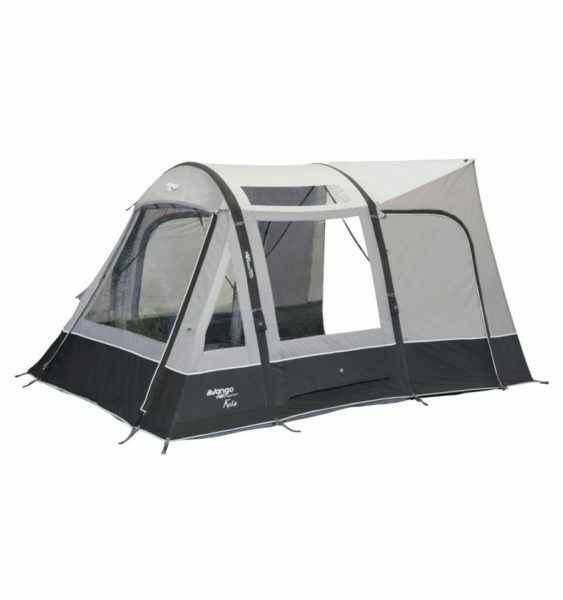 Fully sewn in groundsheet – provides draught and bug free environment. Low level vents – helps circulate air and reduce condensation. AirBeam manual pump included – double action for quick inflation. Carpet, Footprint, SkyLiner & inner tent available – optional extras to customise your awning.